Ready, Set, Shoot: Elan by Khadijah Shah ‘Eden’ Eid Collection! 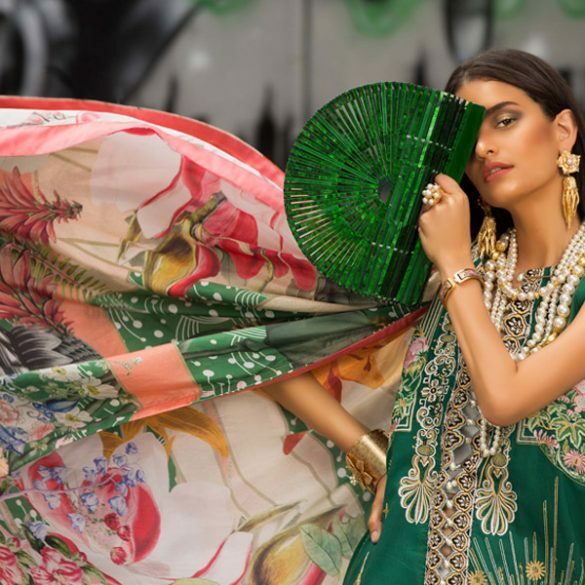 Khadijah Shah is coming to Ensemble Karachi on 11th July with a trunk full of her new ‘Wild Romance’ bridals and ”Eden’ Eid luxury collection that will be exhibited from 10th to 11th July exclusively at Ensemble. The designer has a way of completely enthralling the viewer with her innate sense of luxury. Here’s a look at the new Eid campaign shoot with Nadir Firoz Khan and Sadaf Kanwal presenting yet another exemplary collection. Exquisitely handworked monotone sheers in super short and tapered silhouettes are dream like. Khadijah retains all the intricacy of her signature whilst shaping the cuts too a slightly less formal and more on trend mode for her luxury pret Eid capsule. Take a look at the full campaign shoot now available in Lahore and coming to Karachi on 10th July. What's in Store? : Nida Azwer Atelier Eid Luxury Pret Summer'15! Exhibition Hit List: Farida Hasan Eid Luxe Formals Campaign!